For entrepreneurs in the wine and spirits industry, launching an alcohol product is an exciting process. You’ve perfected the taste, the style, and the price point, and you’re ready to share it with the world. In one of our previous articles, we discussed the details of launching a wine and spirits brand in the US markets. Today, we will discuss ten critical components that each brand needs, in order to attract their next (or first) distribution partner for their wine, spirits, or beer brand. As previously discussed, selling alcohol in the United States is federally regulated by the TTB. These policies are commonly known as the Three Tier System. This system of checks and balances exists within the United States alcohol beverage market to protect both retailers and consumers from market manipulation by producers, and in doing so, prevents the direct sale of a product between Tier 1 (the suppliers) and Tier 3 buyers (consumer retail outlets). To comply with Federal regulations, suppliers and producers must utilize the regulated services of a Tier 2 entity (distributor) to warehouse, ship, and sell their products. Many suppliers feel that this creates a challenging situation, and limits their ability to ‘get to market’. Although federal regulations make this process more complex, there are other reasons that brands find it difficult to attract a distributor: primarily, lack of brand awareness, accurate market positioning, and demand. Distributors generally are not interested in warehousing and soliciting products that they feel ‘no one currently wants or knows about’. They know that building demand takes time, precious real estate in the warehouse, and also resources like sales and marketing staff. For this reason, it is up to the supplier to convince a distributor that the product is has curb appeal and they are capable of creating and meeting demands. All is not lost, however, as with the proper marketing strategy in place, your brand can raise awareness, create demand, and connect with the ideal partner(s) it needs in order to attract the right distribution partners. The entrepreneurial spirit can sometimes overtake us, causing us to believe that the best move for a new product is to get it to market as fast as possible, and if needed, correct any issues at a later date. Although this technique does work in many industries, with an alcohol brand, as with most CPG (consumer packaged goods) brands, this can result in poor packaging choices, ill-formed brand names, and visual imagery that either does not stand out when compared to the competition, is not appropriate for the price point, or in some other way does not communicate effectively with the buyer. The goal of your wine or spirits label design should be to ‘tell you about the wine inside’, and provide a glimpse into its purpose. It should speak when you are not there to tell your story in person. When you walk into a supermarket or liquor store, there are hundreds of bottles and packages on the shelves that tell a story. Which are you most attracted to, and why? How does your brand stand out when compared to the category you’re in? In the packaging and CPG world, all too often we find that brand owners confuse logos and labels with branding. Although a memorable logo is important, and a well designed label is critical for successful retail sales, it’s not the same as branding. A brand is the feeling someone gets when they engage with your company. It stirs emotions, tells a story about why your product exists, and subtly communicates its usefulness and purpose to the consumer. It has personality, and will heavily affect your price perception, as well as the mental associations that will be formed by your buyers. The method to developing a strong brand is by thoughtfully contemplating whom your target audience is, what they are attracted to, how and when your product would be used or consumed, and how you are better or more unique than your competition. Good branding and effective visual communication of the brand is a strong indicator of whether or not a distributor will choose to sell your brand. With the right label and bottle design in place, your purpose will be clear, and their job-selling your wine or spirit-will be much easier. 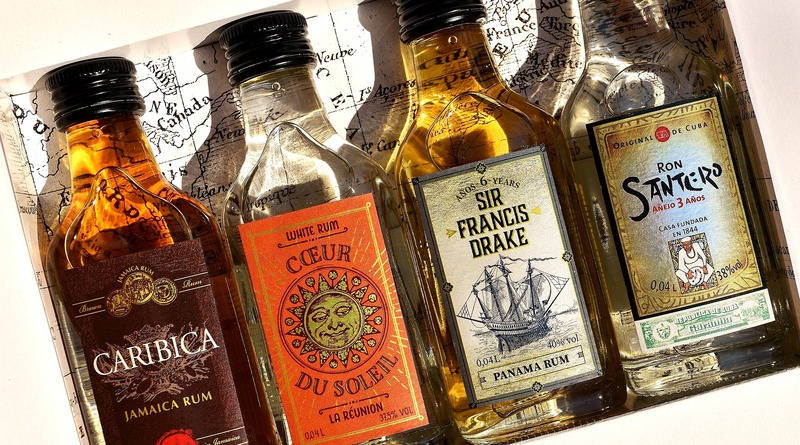 In addition to an attractive label and brand, it is also important to ensure that your bottle is constructed in a way that not only looks good, but will be easily used by your customers, and will survive the process of heavy handling and shipping. Frequently, we see brand creators fall in love with a cool, unique bottle designs only to find out that they are not easy to ship. Distributors will not work with poorly bottled or constructed products, and neither will their clients (bartenders, retailers, and sommeliers). Creating a bottle shape, size, and weight that distributors are used to working with, and that buyers can fit in their displays, or in the well of their bars will make a tremendous difference between getting nationally distributed, or losing sales. Choose a design and branding team that understands your needs, and makes you feel confident in their ability to achieve your brand goals. Investing in strong branding and package design is an investment in the future of your business! If you have already launched your product, and have now realized you must rebrand, it is generally unwise to share this information with current or future distributor(s), as well as current retail accounts, until the new packaging is ready to ship. Rebrands required a shift in inventory, as most do not want both the old and new look on the shelf. Additionally, some brand owners have attempted to crowd source public opinion to rebrand, or create a new label or look. Unless you are sourcing from a pool of experienced package designers, the result is usually a waste of time and money. Only ten percent of the population can visualize something that isn’t in front of them, and consumer judgment can be heavily affected by giveaways and perks (especially alcohol samples). Instead, gather feedback from your buyers and sales team on the positives and negatives of your brand and package, and then share this with experts you can trust. In addition to your label and bottle design, you want to make sure that your brand has a story that others will be attracted to. In the United States market, competition is fierce, with nearly every category in a wine shop or liquor store filled with brands. On the label and off, it is imperative that your product have a story that can stand out from the crowd, and attracts the niche group of consumers you’re seeking as buyers. As much as many brand owners think that their product is for anyone over the age of 21, just because they can drink it, doesn’t mean that they will chose to do. Distributors want brands with specific demographics. These could be young moms that like to make cocktails at home with friends, a chef that is passionate about food pairings, or an adventure seeking Millennial male that wants to drink wine while camping or boating. The more specific you can become with who your ideal customer is, and the more ways you can visualize your brand being used in their lifestyle, the more likely a distributor will agree to sell your product. When preparing to pitch your brand to a distributor, know whom your core buyers are, what their lifestyle is like, and how your brand will fit into it. Be sure this message is clear in all your brand materials and messaging, so that selling is easy for your distributor! Like any industry, selling wine and spirits is not a simple as making a product, putting it into a bottle, and waiting for customers to buy it. Distributors will want to know that, if they make the effort to get your product on their buyers shelves, you are going to put in the work to make sure that it sells. This takes a detailed and well thought out marketing strategy. Distributors will also want to know that you have made efforts to allocate time, resources, and campaigns that are relevant in the markets they will be selling in, and that they will receive repeat orders, not buyers complaining that their customers won’t buy it. Both a distributor’s warehouse space and the space on a retailer’s shelf is limited, and will only be given to brands that will assist in driving customers to purchase. Show them you have a plan, and intend to provide support! Distributors enjoy working with suppliers that make their job easier. One of the best ways you can do this is by providing them with the tools they need to make sales. Sales materials can include straight forward, attractive sales sheets, hang tags and neckers with recipes, as well as other forms of POS materials. If they like what you supply them, they will look forward to introducing it to their buyers. Be prepared with some ideas of things that you can provide your distributors and let them know you are willing to collaborate with them on things like promotional items, special menus, and on premise signage. Incentive programs are a great way to encourage any sales driven team to make an effort. Early in your distributor conversations, make it clear that you’ll be willing to offer bonuses and sales incentives. Create campaigns that focus on urgency, and get creative with competition prizes. Our brands have partnered with jewelry stores or luxury accessories, as well as vacation destinations and cruises. When you help your distributor see the benefits of working with you, know that you are serious about your brand, and the opportunity to profit, they’ll be more likely to trust and choose you. Buyers love quality products, but they want to know those products will be bought by their customers. By submitting your products to various tasting competitions and industry awards, you can raise industry awareness for your brand, and potentially garner awards that consumers will look at as symbols of value. Use caution, however, as not all awards programs are equal, and thousands of dollars can be spent on entry fees. Make sure you’re working with a reputable marketing agency or public relations firm that knows the industry, and can steer you in the right direction. Once you’ve received awards, use them in your sales materials, as bottle stickers, and on hang tags and neckers, as well as POS materials and packaging where appropriate. If you’ve received a high point rating from a reputable event or media outlet, make sure that retailers and customers know about it! The more your brand is talked about, the more you attract both buyers and distributors you previously were unable to reach. Industry influencers can help raise awareness for your brand, as well. An influencer might be a well-respected wine or spirits journalist, a chef, sommelier, or critic, as well as bartenders, bloggers, and those with a relevant fan base on social media. Many of these individuals are always excited to try new products, and are excited to share hot news about new brands and trends with their followers. As a brand owner or representative, it is important to nurture these relationships. Share your story with them in a well worded, succinct manner, and avoid spamming or dull corporate announcements unless it is information that might actually be useful to them. Many times, influencers can drive more attention to your brand than expensive advertising campaigns, especially with traditional media. When marketing wine and spirits to millennials, take the time to craft a message that is truthful, unique, and has value to them-not just ad copy about your brand. Share useful content freely, and when they share it, be sure to share, retweet, and thank them in an appropriate way, as this will reflect positively on your brand. If you are based in the United States, your first launch city will generally be your home market. This is expected by distribution partners, as the likelihood of success is generally higher where founders can be seen and interacted with. As you begin your distributor relationships, offer to do ride-alongs on their sales calls, so you can see firsthand what works and what does not for sales. Local tastings are also recommended, and a great way to show support for early retailers that take a risk, and agree to purchase your products. Build rapport with local bartenders and buyers, ask for feedback, and pay close attention to any positive or negative feedback they may offer. After your initial market has been thoroughly established, be sure to make time to plan your next market approach. Usually a nearby city or state will be more productive, if resources are limited. Using your marketing plan, identify ideal markets, as well as new distributors that either carry similar products to yours, or appear to be interested in new brands. Now that you know what distributors are looking for from a brand, it is time to start building consumer awareness for your brand. When a correct strategy is in place, social media can build early demand, and even drive sales directly to retailers. A strong following is highly attractive to distributors. It acts as living proof that buyers are interested in your products. Facebook pages, Instagram accounts, and Twitter are all excellent tools to create and share content, providing you with a low to no-cost platform upon which to engage consumers, share your story, and teach them how to use your brand. 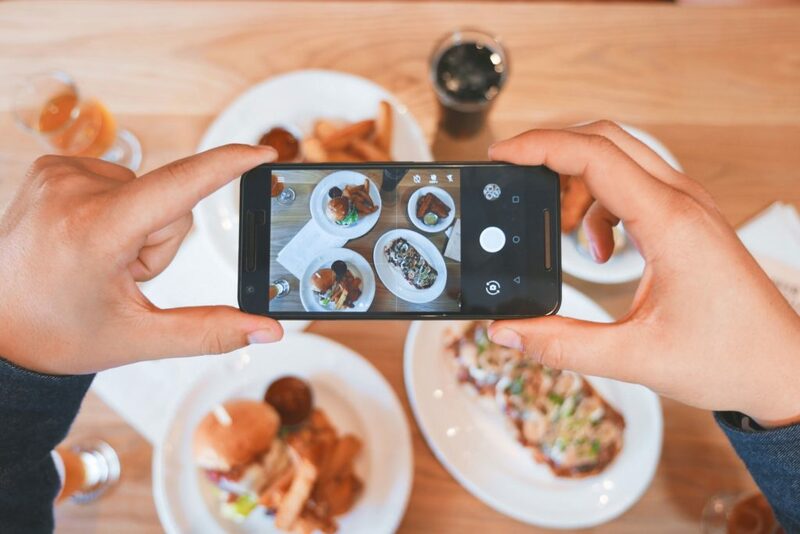 At FK, our clients have experienced huge successes with social and digital content, including city takeovers, introductions to buyers, and even turning one-time promotions into top selling, permanent menu placements. Targeted advertising and a real content and communications strategy is crucial for emerging brands, and the more effective your message, the more attractive your brand will become to a distributor. Once a few accounts are in place, don’t just move on to the next one-keep them buying from you! 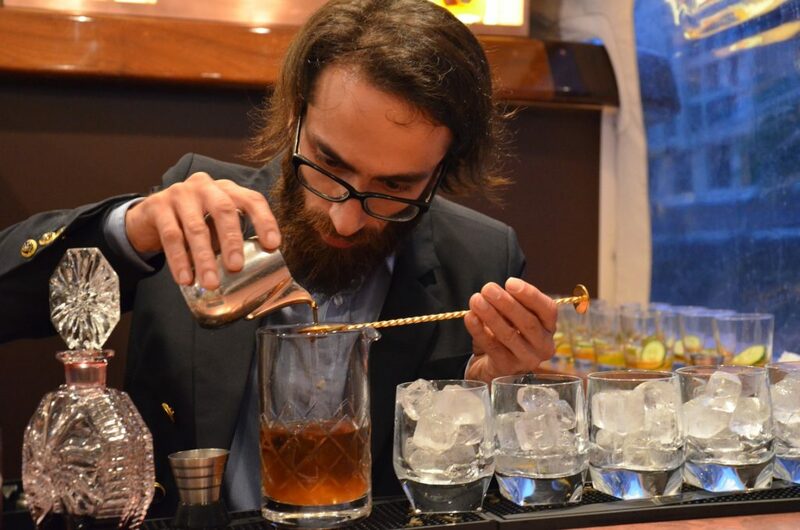 Be consistent with follow up, be helpful, and provide support programs like happy hours, tastings, and specialty cocktail suggestions. Always trying to remind them that your product is on the shelf, and that you are open to opportunities to help them sell it. Tastings, either dry or wet, are great opportunities to not only reach consumers direct, but also build the relationship with your retailers. If bartenders and sales people can put a face to the bottle, this helps them remember your brand more than your competition. Both Tito’s Vodka and Rumchata were successful because their founders were available and present on a regular basis. Pay close attention to seasonal events that a venue may like to participate in. Our team has successfully used cocktail holidays, causes, and other promotions to raise brand awareness for our partner brands, and you can do the same for your venues! Activities like this and more are great ways to establish and grow your relationships with your buyers. Just because you can’t sell directly to them, doesn’t mean you can’t have a successful relationship with a retailer, and the more support you show, the more likely they are to buy from you! Even with all of this effort, in many markets and depending on your products category, it may still take months and a lot of money (shows, samples, etc) to convince a distributor that your product and team are worth working with. Even in the event that your product is picked up, many brand owners don’t realize that you and your team are still responsible for driving sales, participating or at least paying for tastings, and working your accounts. In order to save time, money, and hit the ground running, self distribution partners are truly a great resource. Many offer a variety of services including importing, warehousing, customs management, inventory management, account tracking, shipping and compliance, and order fulfillment and the ability to provide your team with the proper licensing to sell directly to on and off premise buyers. We have found from past clients that there truly is no better sales training than the opportunity to speak to buyers directly and manage your sales first hand. Although self distributors may be limited to where you can utilize their services and do not provide sales staff, many brands find that they are the perfect solution to enter the US market. For more questions about building brand awareness for your wine or spirit brand in the United States, or any of the above topics, contact our team to schedule a complimentary consultation. FK Interactive has been growing wine and spirit brands since 2008, providing management training, brand development, and turn key strategies for consumer brands seeking to achieve national distribution in the United States.